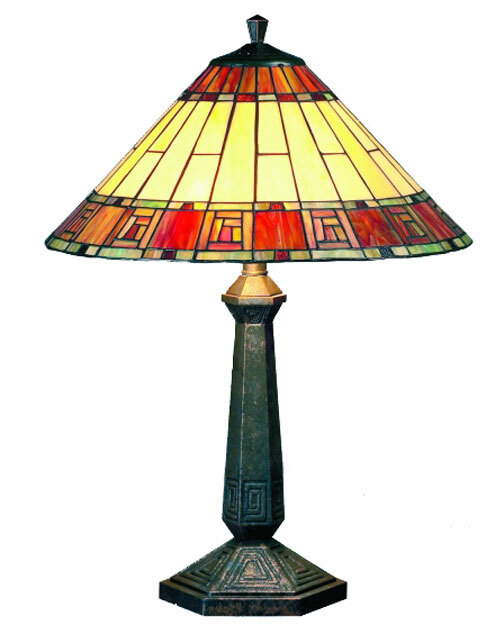 A large Tiffany table lamp with a warm bronzed finish. A hexagonal shaped base and pyramid shaped designs. The Fireglo Tiffany shade has a deep border of ambers and olive green creating a warm ambient glow. Takes 2 x 60 watt lamps.